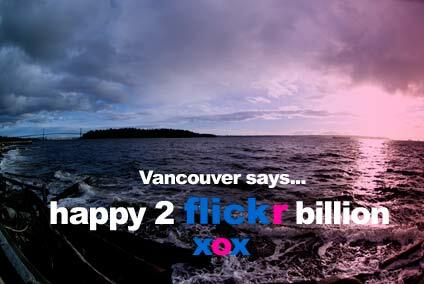 I wonder what’s going on with Flickr. Up until a couple of days ago, it was pretty normal to see 4,000 to 5,000 photo uploads a minute, according to the Flickr Most Recent Uploads page. In the evenings, Pacific time, these numbers would be a little lower, usually between 2500-3500 per minute. Last night, I noticed the numbers were in the 24,000 to 30,000 photos per minute range ! And today, they’re in the 45,000 photos per minute range. Either there’s been some kind of massive (by a factor of 10) sudden increase in usage – or Flickr’s number is now based on something completely different. Anyone have any insights ? What does Flickr.com do when it’s feeling stressed and overwhelmed. The same thing I do. In 1977 I sold my 1966 Mustang for just enough money to buy a plane ticket to Paris. My high-school sweetheart K was working there as an au pair, and the trip from Calgary to Paris was my attempt to lure her back. It didn’t work by the way. However, it was April in Paris. I was 21. I was in love. Did I mention it was Paris in April ? Perfect. Well, with the small exception that K was more interested in, well, pretty much everyone else. Still, it’s what Paris is about, isn’t it ? Unrequited love in a city of beautiful people who seem to be in no hurry to do anything but talk, smoke, drink coffee and embrace. almost every time we went out, and the city made up (well, almost) for any heart ache I was suffering. It’s true that almost every 2nd frame is a shot of K (standing in front of a fountain, waiting for a train, outside the Louvre, ironing…) but all these years later I’ve started scanning the other half of the slides and am enjoying the discoveries. It was an important time in my life. I was young, I had my first really big job (running a newsroom in Calgary) and I was still naïve enough to believe that if I flew to Paris the woman I pined for would change her mind. All in all, perfect. 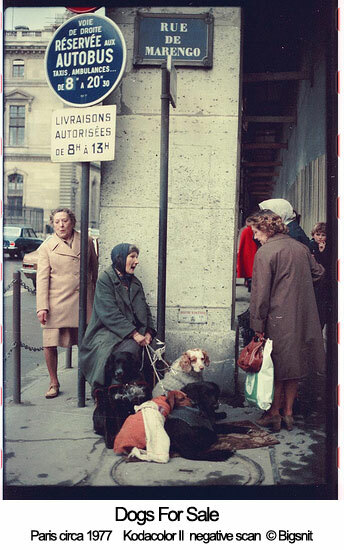 I’ll be adding the scans slowly to my Flickr Paris 1977 page, and your comments are welcome.